The Crop Research Institute (CRI), of the Council for Scientific and Industrial Research (CSIR), at Fumesua near Kumasi is using science and technology innovations to boost commercial production of local food crops, especially rice in the country. This is part of CRI’s move to execute its mandate as a research hub for crops, in a bid to position itself at the forefront of leveraging on scientific and technological innovations, that would ensure phenomenal increase in the cultivation of rice and other food staples in the country. CRI is doing this by increasing the accessibility and availability to farmers its newly-improved quality, high yielding and disease resistant crop seeds. The goal is to support the Planting for Food and Jobs (PFJ) initiative and other major agricultural interventions, being pursued by the government to improve food security, as a catalyst for the Ghana Beyond Aid agenda. To demonstrate this, crop scientists and breeders from the Institute have for the first time developed and released six new rice varieties to scale up the commercial production of quality rice. The development of the varieties, four of which were from local crosses of the CRI, is seen as an unprecedented and a major milestone for national crop research in Ghana. It is aimed at boosting food security and a resultant reduction in rice importation into the country. 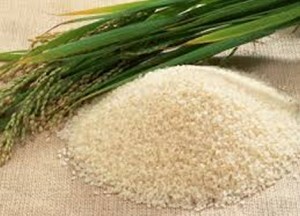 The 2017 annual scientific report made available to the Ghana News Agency in Kumasi indicated that the six new varieties were expected to respond to the industry challenges of low production, low average yield and poor grain quality and to “satisfy the strong demand for high-yielding jasmine and conventional US long grain rice types, the most preferred rice choices in Ghana. “The six new varieties, which have been accepted and approved by the National Varietal Release Committee, are CRI-Dartey, CRI-Kantinka, CRI-Emopa, CRI-Mpuntuo, CRI-Oboafo and CRI-Aunty Jane,” the report indicated. 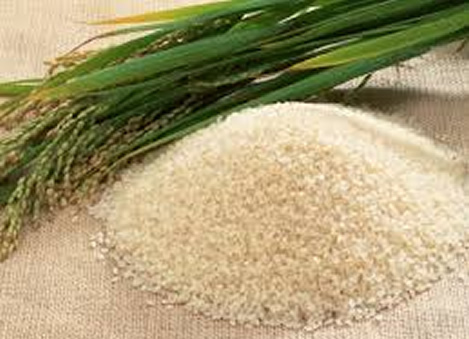 Ghana’s rice import bill is said to be about $600 million, regardless of the country’s potential to produce to meet local and international demands and according to the report, besides maize, rice is the second most important cereal and major staple in Ghana. The Ministry of Food and Agriculture (MOFA) estimates that the annual per capita consumption of rice is about 40kg per person and is expected to increase to 63kg by the end of 2019. The Institute believes that all the six varieties, suitable for lowland and irrigated ecologies, with their potential for higher yields, tolerance to Rice Yellow Mottle Virus Disease and Iron toxicity, will boost acceptability by farmers as they have high raising, easy cooking and aromatic qualities.